Are ‘Black Friday’ deals really worth all the hassle? In the USA, the day after Thanksgiving has been referred to as ‘Black Friday’ for over fifty years. It marks the unofficial beginning of the Christmas Shopping season. The shopping extravaganza grew out of a series of slightly connected events that fed off one another resulting in the shopping nightmare we deal with today. I don’t know about you, but I avoid the stores that entire weekend. In 1869, Timothy Eaton opened his first department store in Toronto Canada. The T. Eaton & Company Importers quickly prospered, ultimately billing itself as Canada’s Greatest Store and at one time was even considered the most successful department store in the world. What does this have to do with the USA and Black Friday? Other US cites also hold local parades, but none can match the scale of the NYC Macy’s Day Parade. The resulting foot traffic from these crowds meant extra business for any retailers lucky enough to be in the vicinity. In the 1950’s in Philadelphia PA, the police started referring to the Friday after Thanksgiving as A Black Friday, black meaning very bad. Between the crowds for the Thanksgiving Parade, and the Saturday Army vs. Navy football game, the crowds in the city were a nightmare, and police were working 12 hour shifts for crowd control. The holiday foot traffic kept growing and soon retailers began running special sales to entice shoppers to make impulse purchases. By 1961, retailers regarded Black Friday as a good thing because the increased sales revenue meant their accounts were ‘in the black’. In traditional accounting, positive income is entered into a ledger with black ink, while negative debits are recorded in red. When you balance the books, you want the bottom total line to be black, showing a positive balance. If it’s red, you’re in debt, and possibly in deep trouble. It is estimated that Black Friday sales account for 50% of the Christmas sales, and that Christmas sales in general account for half of the total annual sales of retailers. This is now the reason for all the special Christmas prices we tend to see at this time of year as merchants try to relieve us of our hard-earned cash. This is why you also see seasonal ‘pop-up’ kiosk stores in malls selling all manner of gimmicky impulse items. Christmas and Black Friday are BIG BUSINESS! Cyberman, Cyberman, does whatever a cyber can. The term “Cyber Monday” was created by marketing companies to persuade people to shop online. The term was coined by Ellen Davis and Scott Silverman, and made its debut on November 28, 2005. The idea behind Cyber Monday was to convince people that better deals could be found online IF you were willing to wait a couple of days. In the 21st century, the traditional retail model has been evolving. There has been a shift towards online purchases which has resulted in the death of many brick and mortar stores. The question remains though, was it the computer or was it the crowds that killed brick and morter stores? The computer is a wonderful tool that can make our lives better when used properly. The internet allows us to reach stores and people in places we could never get to easily or cost effectively in the past. By delaying instant gratification, and waiting for sales online, diligently searching for the best prices, we can save ourselves the hassle of fighting crowds for promised low prices on items which sell out in minutes at the store. It’s not worth your time or trouble when you factor in travel costs and your personal time. Time is the one commodity you can never replace. As always I wish you success and happiness. 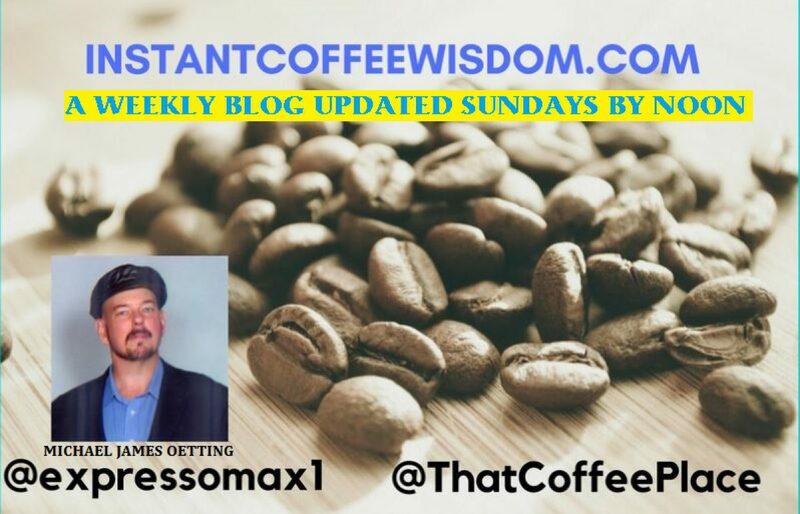 Author instantcoffeewisdomPosted on November 18, 2018 Tags Advice, business, economics, finance, Health, money, sales, self improvement, shopping, stores, success, Toys, USA, workLeave a comment on YOU SAVED HOW MUCH?